FERMANAGH HERALD. WE are privileged to publish this article, from the pen of J. T. LAWTON, who, at the age of ninety-one, is still hale and hearty in his home in Newfoundland. Mr. Lawton, as he relates, was a teacher, seventy years ago, in Pettigo, and his reminiscences will be read with deep interest. In a covering letter to the Editor, Mr. Lawton writes: “I am always glad to have an opportunity to say something about Pettigo and Ireland for, in my home in Newfoundland, my father, who was from Youghal, used to gather the exiled Irishmen around him on Sunday evenings, and read “The Nation,” then conducted by Charles Gavan Duffy, A. M. Sullivan and T D Sullivan. My chums and I got back by the dresser and played dominoes while the men of ’98 cursed William of the Boyne, Oliver Cromwell and the English.” On his approaching birthday, we add our congratulations to the many Mr. Lawton will be receiving, and wish him many more years of happy retirement. DEAR MR. EDITOR — You expressed a desire some time ago to a former pupil of mine that I write a few reminiscences of Pettigo. They may perhaps be interesting, for the past has a glamour of its own that somehow invests the most trivial incidents with interest. None of us will hesitate to read of the romantic doings between Lord Byron and Lady Caroline Lamb, or what Napoleon the Third said to the Countess Montijo that evening in the Tulleries when he asked her to marry him, or what the thoughts of the Emperor Henry IV were during the three days and nights he stood barefoot in Canossa Castle grounds waiting for Pope Gregory VII to lift his excommunication sentence. Though in the present instance there are no such high personages involved, the historical incidents may be of interest. 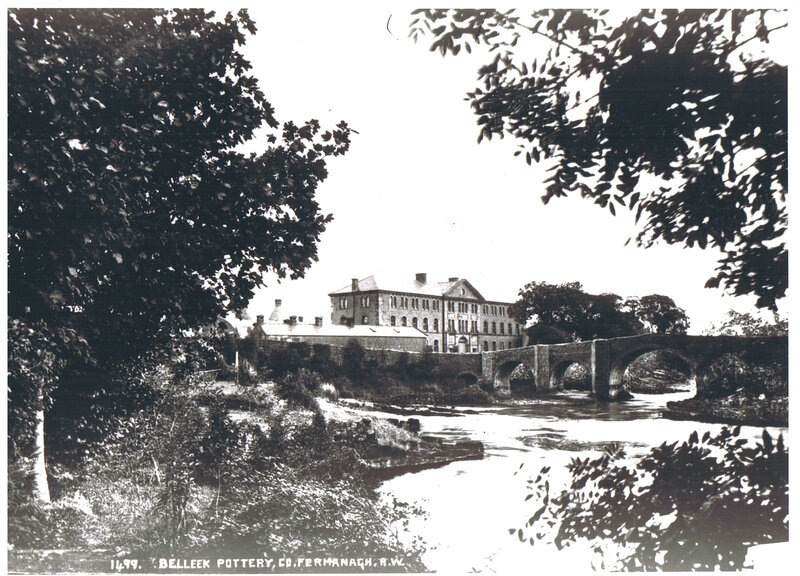 I WENT to Pettigo to teach school in the autumn of 1882. I was then 22 years of age. Three years previously I had left my native country—Newfoundland—to follow a profession which I later did not find congenial. 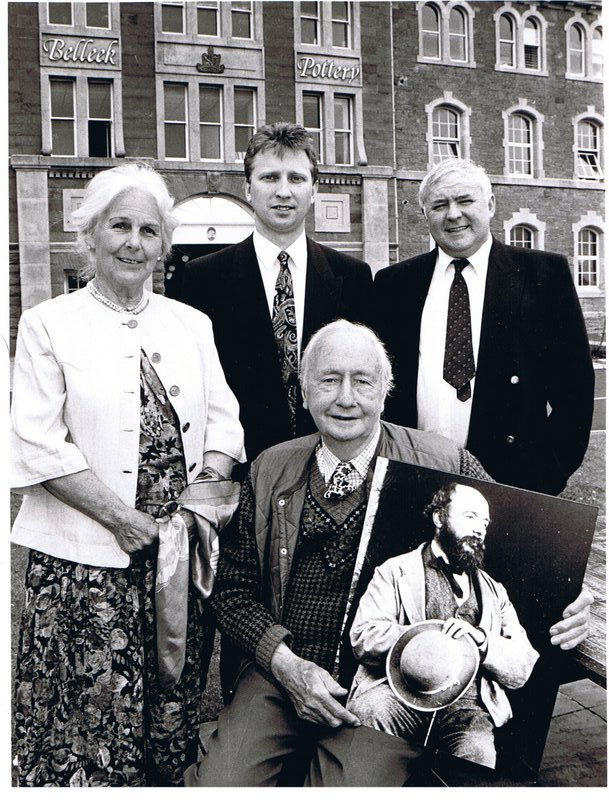 As my going to Pettigo changed the whole course of my life, I must first introduce the man who was responsible for it. He was the Rev. John Canon McKenna, Parish Priest of Belleek. He was a stocky, loud-voiced choleric man, over-bearing with inferiors but had a generous heart underneath it all. He was a friend to me. When I was leaving him—nine years later —he showed undisguised regret. I revere his memory. Up to 1882 there had been no Catholic school in Pettigo. The Catholic children of the town went to the Protestant school. Canon McKenna had been trying for years to get a plot of ground whereon to build a school. He could not succeed. Every obstacle was put in his way by the Ascendant party. They objected to a Catholic school. Finally by a mere chance the Canon secured a small plot. There was a small piece of waste boggy land, adjoining a tenancy held by a Catholic, Barney Wiley—which the landlord, not getting any rental from, decided to sell to Wiley. Wiley bought it. A few months afterwards Wiley’s mother died and as he was unmarried he decided to surrender his tenancy and go to Australia, where he had a brother living. Canon McKenna bought this piece of waste land from him. It was about a mile from Pettigo and near Lough Erne. SECTARIAN ANIMOSITY. The purchase of this land by Canon McKenna was the signal for an outburst of sectarian criticism and violent abuse; but the Canon who at this time lived at Belleek and had no house at Pettigo started to build. When the school was ready for occupation I received my first lesson in Irish bigotry. I had not been prepared for it. I had never seen anything of this intense hatred between religious sects in my country. There may be amongst the uneducated very poor an undercurrent of mutual suspicion; but it is never shown. Parishioners of the various sets help one another in their church buildings and social functions. The word “Protestant” is seldom used and is considered a breach of good breeding. The various religious sects are referred to as Roman Catholic. Church of England, United Church, and so on. The sectarian animosity of Pettigo grated on me intensely. It was a state of open warfare between the pupils of both schools from the beginning. They attacked each other going and returning from school. The Protestant teachers of Pettigo offered every inducement and threat to Catholic parents to keep their children at their school. There were hints that the landlord would interfere if Catholic parents sent their children to the Catholic School. A SURLY HENCHMAN. For the first month I had only about fifteen pupils. The fighting between the pupils continued. On my way from the town to the school I had to pass by the Glebe fields. This was potato digging time. The incumbent—Mr. Davies —had a surly looking henchman digging his potatoes, and every morning he made it a point to send his dog through the hedge at me. One morning I was so fiercely attacked by the dog that a woman assistant digger had to come to my rescue. I can explain my non-retaliation to these savage reprisals only on the facts that I was young and totally unprepared for such boorish onslaughts and was mentally occupied in devising some plan for getting rid of the locality altogether. SCHOOL CONCERT. IT must be remembered that the Catholic feeling toward Protestants was hostile. The following incident will show this. During the winter, in order to popularize the school I organized a school concert. It was certainly ambitious. The programme consisted of a Soiree, a lecture by Canon McKenna, a magic lantern show and a concert. I forget now whether the audience got home before midnight. I slump in my chair now when I look back on my audacity and my inexperience. But I thought I had a good show. I had been teaching the older boys the violin and their selection would make a hit. Then there was the lantern show with sleeping giants eating rats and other quadrupeds. The Canon’s description of his travels in Italy would be a change from his weekly talk about dues and oats collections. But though the programme was wide enough to please the most covetous, I struck a few snags. I dealt for my household grocery supplies with a Protestant shopkeeper. Quite naturally I ordered the pastry and other eatables for the soiree from the same man. The eatables arrived early in the evening and I had them arranged very tastefully on the tables. The soiree was the first item on the programme. About twenty minutes before it was to open the housekeeper came to the schoolroom with two assistants, gathered up everything that was on the tables and threw it into the turf box in the porch. The housekeeper would brook no expostulation; there was a Catholic baker in the town and there was no need to take cakes or bread from a Protestant one. The proceeds of the concert were intended to go towards purchasing turf for the school fire but by the time the two bakers’ orders were paid for there was little left. The incident gives an idea of the intensity of sectarian feeling that existed in the community. One wonders what improvement or progress was possible where such antagonistic attitudes existed. GRINDING SYSTEM OF EDUCATION. But incidents such as the foregoing were only bubbles on the surface. It is necessary to explain.The National system of Education , in Ireland under Castle government seventy years ago was one of the most grinding and impoverishing systems that could be devised. The system was called “ The Results System.” Half the teacher’s salary depended on the results of the inspector’s examination of the pupils. The School Inspector set a day each year for the inspection of a school. Beforehand, he sent a “form” on which the teacher filled in the names of his pupils who had attended 100 days during the year. Any child who did not attend school for 100 days was not examined. When the inspector came he examined every pupil individually, in every subject of the school syllabus. If a pupil passed in a subject he got an “X ” opposite his name; if he failed, he received an “O.” The teacher was paid graded amounts for all the passes according to classes, ranging from a shilling for spelling to two shillings for arithmetic. A 3rd grade teacher’s salary was £27.10s. A teacher with a small school may add ten or twelve pounds to his salary a year by “Results Pees.” The pay of such a teacher would be approximately two shillings a day. FEAR KEPT CATHOLICS AWAY. BUT the most nerve-racking and degrading part of this system was the “Quarterly Attendance.” You could not get any salary at all unless your quarterly attendance had attained at least 30 pupils. I have already described the efforts of the Protestant teachers to retain their Catholic pupils. A large number of Catholic parents in opposition to the repeated insistence of Canon McKenna that they send their children to their own school, refused to do so. Their argument was (undoubtedly influenced by fear) that “they did not care to take them from the other teachers after being so long with them.” The problem seemed to have become embedded in a state of inertia and deadlock that I finally saw that unless matters began to change for the better I must quit. But under Canon McKenna’s urgent wishes, when the average for the first three months October- December did not come up to 308 I consented to hold on for another quarter. Hope is one of the strongest impulses of the human mind. The next three months might be better. LIVING ON THREEPENCE A DAY. At the end of the March quarter the average was still below 30. Things were becoming desperate for me. According to the Central Board of Education’s rule I could get no salary. What was to be done ? I had no money. I was living on one shilling and nine pence s week or three pence a day. Where could I go? I did not have money enough to take me anywhere. I was in a strange country without relations, two thousand miles from my own home. To shorten the story Canon McKenna asked me how much money I wanted, I told him I had been living on three pence a day for the past six months and I could do it again, and I would not take more. He gave me what I asked. From the altar on Sundays he berated the parents who refused to take their children from the Protestant school. The luke-warmness of the Catholic parents in this matter, was undoubtedly due to the fact that he lived at Belleek—8 miles away, and did not see much of “his” Pettigo parishioners during the week except on Sundays? But some months after completing the school, he started the building of parochial house and was then a daily visitor to Pettigo. There-after school matters began to change for the better. At the end if the third quarter the average was slightly above 30. and there was an ample prospect of it continuing so. There was jubilation. It was one more illustration to the “stick-at-it ” moralists to put in their “self-help” books. After my “ Returns ” went on to the Education Board I received a cheque for nine months’ salary. WATCHING THE INSPECTOR. I was aware that I could have done as I had known one or two other teachers were doing, namely falsifying the school records. I knew one teacher who had imported a young nephew of his to watch outside the schoolroom for the possible approach of the Inspector. The school was very conveniently situated for this proceeding in an elevated mountain district. The nephew lolled lazily in a comfortable chair by the schoolroom door and watched for the Inspector. The Inspector was liable to make a visit at any time. If the nephew saw the inspector coming he rushed to acquaint the teacher. The teacher hurriedly marked down the number of his pupils present. If the Inspector did not put in an appearance that day, the teacher after school hours made sure that he had at least 30 pupils present. The rule regarding dally registration was that only the pupils present at 11 o’clock were to be registered. Omitting the registration till after 11 o’clock was liable to bring a severe reprimand from the Education Board and a punitive reduction in the amount of “Results Fees” payable to the teacher. False registration was a risky and self-penalising business. If the register showed that a pupil had attended school 100 days he went in for examination. But by false registration he may have attended school only 60 or 70 days. What chance was there for him to pass the examination ? If he failed his failure brought complaints from the parents to which the teacher had to submit with a wry face. LIVING ON OATMEAL AND MILK. I HAD taught school for nine months without receiving any salary. Have you heard of any workman in any part of the world who worked for nine months without pay? I did it. I could have got help from my friends in Newfoundland, but as I had disappointed them in giving up the profession they wished me to follow, I preferred to keep my wherebouts unknown to them. I was compelled to live on 6 cents (three pence) a day. My menu was oat meal, rice and milk. No tea, coffee meat, fish or vegetables. Two meals a day. You are wondering if I became a Communist. Well, the term Communist was not in vogue then. But I became something similar. Night after night I sat at my lodgings wondering, wondering if this society in which I was living had no brighter outlook. Every morning I met on the road to my school poor, unkempt haggard men who asked me for a “copper.” I had no more coppers than themselves. The pleasure I felt strolling by the Irish honey-suckle hedges (there are none in Newfoundland) was suddenly blasted when a poor under-privileged outcast asked me for a “copper?’ I felt a shriveling sensation when I had to say “none.” They were probably uneducated and could not demand much from society; I was educated. but financially on their level. ASCENDANCY ATTITUDE. Then again the class distinctions grated on me. I need not tell an Irish editor the attitude of the Ascendancy class towards the Irish poor or middle class. They seemed to me to consider themselves superior beings. I had never seen anything like it before and I could not suffer it. Was this extreme poverty and rabid class distinction to last for ever? STORY OF A PAMPHLET. DAY and night these problems of class distinction and grinding poverty occupied my mind. A London publishing house —The Modem Press—was issuing pamphlets on working class problems. I put my solution for the world’s maladjustments into shape and sent the manuscript to these publishers. I labelled it “The Nationalisation of Society.” I wanted them to buy it from me. They would not do this. I would have to pay part of the printing and they would pay me so much for every thousand copies sold. As I was not receiving any salary at the time, this arrangement was out of the question just then and my manuscript had come back. But when I did get money I adopted it. With that naivete which is so characteristic of youth I imagined that I was laying the foundation of the world’s regeneration. Although I knew nothing then about Karl Marx’s theories, my pamphlet was thoroughly Marxian. It called for the nationalisation of all the means of production and distribution. No person could start a business of any kind without permission of the Government. As inventions threw people out of employment, inventions were to become a State property to be used for the welfare of the workers. I gave a copy of the pamphlet to Canon McKenna. I was blissfully ignorant of the fact that the theories expressed in it were anathema to the Church and that I might be liable to excommunication if I were to stubbornly maintain them. The following Sunday the Canon preached a long sermon on the Italian and French secret societies that were trying to destroy the Church. I knew the sermon was directed against my pamphlet, but he never referred to it afterwards, and the incident did not alter our friendly relations in the least. I may say I never received a half-penny from the Modern Press publishers since. ORANGE ARCHES. One disagreeable effect of. this absurd feeling was the likelihood of being brought into bad terms with Protestant neighbours without being in the least responsible for It. As a member of the chapel choir I organised a day’s outing to Bundoran. I hired 10 cars for the drive. It was the week after the 12th of July and Orange lilies still hung over the roads. They hung in a very drooping dilapidated condition and the drivers pulled some of them off as we drove along. The incident was so trivial and accidental that none of us made any remark about it. When we were returning at night fall the ditches on both sides of the road for a considerable distance, were lined with members of the Orange Association, ready, I presume to attack us if any attempt was made to interfere with the arches. Their demonstration seemed so childish and uncalled for that Father Kelly who accompanied us reported the matter to Police Headquarters at Enniskillen. A few days later, the Inspector of Police called upon me to ascertain the facts. The simple incident created much local gossip and had the effect ot embroiling me in unfavourable criticism as the leader of the excursion party. In my country no society would dream of putting aches across the street for other societies to pass under, and even if they were so boorish to do so, the others would pass it by unheeded. The only remark I could make to the Inspector was that I thought there were a lot of people in Ireland who needed a little more commonsense. EFFECT OF THE TWELFTH. This undercurrent of sectarian feeling had its amusing side also for me. I lived about 100 feet from a neighbour—Mrs. Stewart. She was one of the kindest woman alive. There was nothing she would not do for you in case of an emergency. She was a daily visitor to my house. Her only son—a good fellow, too—was a member of the Loyal Orange Association. His mother apparently shared his prejudices. For about three days before the 12th of July she never came near the house. If she happened to be outside feeding her hens when I came in sight she darted inside suddenly, and did not come out till I had passed. This continued for about three days after the 12th when our relations became friendly as usual. In my short revisit to Pettigo 18 years ago 1 looked with sad recollections to her little, cottage which had been de-roofed and shattered in the revolution of 1916. THE CAUSE. THE above incident showed me at the time that if the ruling class, who for political and other reasons, kept alive the embers of a centuries-old feud, would cease their nefarious propaganda, this sectarian hostility would not be apparent. What struck me was the bizarre phenomenon of a minority ostentatiously parading its prejudices and endeavouring to impose on a majority with confident impunity knowing they had the backing of the ruling class. THE PASTOR AND THE CARETAKER. On the same visit I saw the parochial house and the little bit of boggy ground the Canon had struggled and fought to get. The house was in ruins. Just a short 50 years before, he had laid the first stone of it. Now, silence surrounded both him and the house. I dropped a tear in his memory. He had his faults, but also his good points. He had a brow-beating temper but there was one whom he never subdued. She was Miss Rorke—caretaker of the chapel. She was a woman of stern visage, self-contained. Her aspiring nose and tightly knobbed hair warned off any undue congeniality. She never answered a question at first offer, but had to say “Eh.” I remember one Saturday evening she was dusting the seats in the Chapel. The Canon who had been busy with some parish affairs was hurrying back to catch the train to Belleek “What time does the train leave”? he asked Miss Rorke. THE SIGNBOARD CAME DOWN. I developed my pictures in my bedroom. Owing to technical defects I could not get good pictures but I was so anxious to get the business on a paying basis that I hung out my signboard with prints that were far below the photographic standard. I had taken a number of free snaps for the sake of advertisement. One afternoon I passed through Flood’s shop where a few cronies were drinking in a side room. I heard one of them ask the others: “Boys, did ye see the picture the Master took of Barney D. Barney D was a shaggy, unkempt knockabout, but was not altogether bad-looking. “No, the others replied. ” Well, if ye ever see the divil— He did not complete the sentence, but I felt that Barney’s picture was not a boosting advertisement and I withdrew it, and later took down my signboard. Anyway I had the honour of being the first to start a “studio” in Pettigo. PIANO FOR £3. When I imported a piano, I was told I was the first to introduce that instrument to that town but that was incorrect. I was the second. After giving up the photography I had some spare time and I decided to buy a piano. But what about the money? One could not get a piano for nothing. Recklessly I sent a note to Pohlmann and Co., of Grafton Street, Dublin, saying I wanted a piano and would offer £3 for one. Three pounds for a piano I I could hear the manager laughing. Believe it or not, I received a letter a few days later couched in the following words; “Dear sir: Your offer is ridiculously small; but we have a piano we can give you for £3 that may suit you.” I sent the £3 and received the piano. It was a heavy cumbersome affair, over six feet long. I had lodgings in an upstairs room of Mr. Michael Doherty’s at this time. The piano was unpacked in the street. With the help of the neighbours I tried to get it upstairs. The stairs was narrow and had a turn in it. The piano got jammed and would go neither up nor down. Everybody became a boss and the broadcasting of orders raised such a commotion that hundreds of spectators were lined up on the other side of the street. Finally, the piano was brought back to the street. The only way to get it to my upstairs room was through the window. Out came the window. Planks were laid against the window-sill and with four men upstairs with ropes and an unknown number below pushing the piano reached its appointed quarters. THOUGH it is 60 years since I left it, there will always be a warm, bright spot in my heart for Pettigo. I often look back with happy memories of the mornings before school that I spent rowing on Lough Erne, my Saturday afternoons at Bundoran where I met other teachers—Brown of Mulleek, McGovern of Belleek, McGovern of Cornatressy, Lane of Lettercran and Reid of Kimmid. I suffered much there but there were compensations. It was there I married a girl from Keady. Two of my children now living beside me, were born there. From inquiries I learn that all these teachers are dead. I have a photograph of my pupils taken a short time before I left Pettigo. So far as I can learn, there are only a few of them alive. I still correspond with three of them— John Bannon of Pettigo, John Fogarty of Cardiff and John McCaffrey of Montreal. They love to talk about the old school days, and in a few months time I will be receiving their congratulations as usual on my birthday—my ninety-first. SAMUEL B. HORNE, BELLEEK. MEDAL OF HONOUR WINNER. SAMUEL B. HORNE, BELLEEK. MEDAL OF HONOR WINNER. Unit. Connecticut 11th Connecticut Infantry Regiment. Battles/wars. American Civil War. The 11th Connecticut Volunteer Infantry was an infantry regiment that served in the Union Army during the American Civil War. The 11th Connecticut Infantry was organized at Hartford, Connecticut, beginning October 24, 1861, and mustered in for a three-year enlistment on November 14, 1861. The regiment lost a total of 325 men during service; 8 officers and 140 enlisted men killed or mortally wounded, 1 officer and 176 enlisted men died of disease. Samuel Belton Horne (March 3, 1843 – September 18, 1928) was an American soldier who fought in the American Civil War. Horne received his country’s highest award for bravery during combat, the Medal of Honour. Horne’s medal was won for heroism at Fort Harrison, Virginia, on September 29, 1864. He was honoured with the award on November 19, 1897. Fort Harrison was an important component of the Confederate defences of Richmond during the American Civil War. Named after Lieutenant William Harrison, a Confederate engineer, it was the largest in the series of fortifications that extended from New Market Road to the James River that also included Forts Hoke, Johnson, Gregg, and Gilmer. These earthworks were designed to protect the strategically important Chaffin’s Bluff on the James River. On September 29, 1864, 2,500 Union soldiers from Maj. Gen. Benjamin Butler’s Army of the James overran Major Richard Cornelius Taylor’s 200-man Confederate garrison and captured the fort in the Battle of Chaffin’s Farm. Brig. Gen. Hiram Burnham, a native of Maine and a brigade commander in XVIII Corps, was killed in the assault, and the Union-held fort was renamed Fort Burnham in his honor. Horne was born in Belleek in County Fermanagh, Ireland, and entered service in Winsted, Connecticut, where he was later buried. The Medal of Honor is the United States of America’s highest military honor, awarded for personal acts of valor above and beyond the call of duty. The medal is awarded by the President of the United States in the name of the U.S. Congress to U.S. military personnel only. There are three versions of the medal, one for the Army, one for the Navy, and one for the Air Force. Personnel of the Marine Corps and Coast Guard receive the Navy version. Because the medal is presented “in the name of Congress,” it is often referred to as the “Congressional Medal of Honor”. However, the official name is the “Medal of Honor,” which began with the U.S. Army’s version. Within United States Code the medal is referred to as the “Medal of Honor”, and less frequently as “Congressional Medal of Honor”. The Medal of Honor is usually presented by the President in a formal ceremony at the White House, intended to represent the gratitude of the American people, with posthumous presentations made to the primary next of kin. According to the Medal of Honor Historical Society of the United States, there have been 3,514 Medals of Honor awarded to the nation’s soldiers, sailors, airmen, Marines, and Coast Guardsmen since the decoration’s creation, with just less than half of them awarded for actions during the four years of the American Civil War. In 1990, Congress designated March 25 annually as “National Medal of Honor Day”. Due to its prestige and status, the Medal of Honor is afforded special protection under U.S. law against any unauthorized adornment, sale, or manufacture, which includes any associated ribbon or badge. 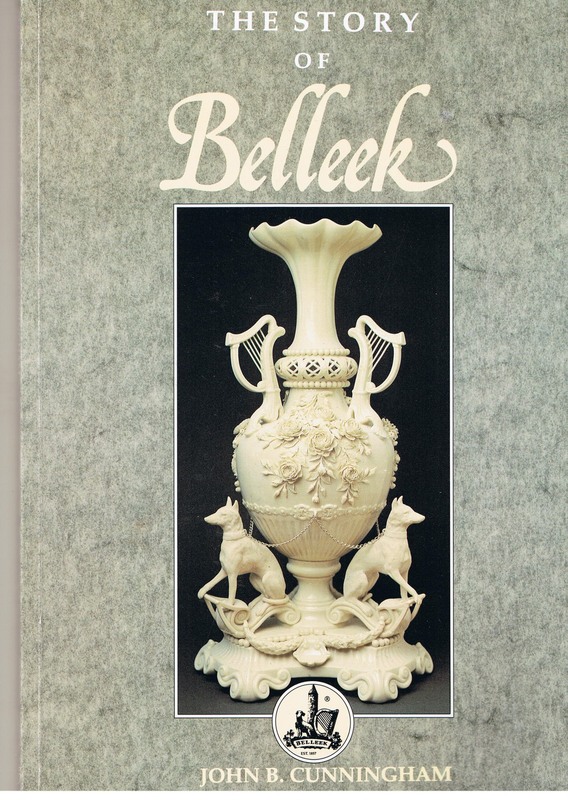 First noted by Gary McCauley, Belleek who informed me of its existence.